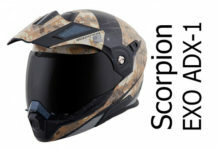 10 Best place to buy this Caberg helmet? 15 Definitely want a Caberg? 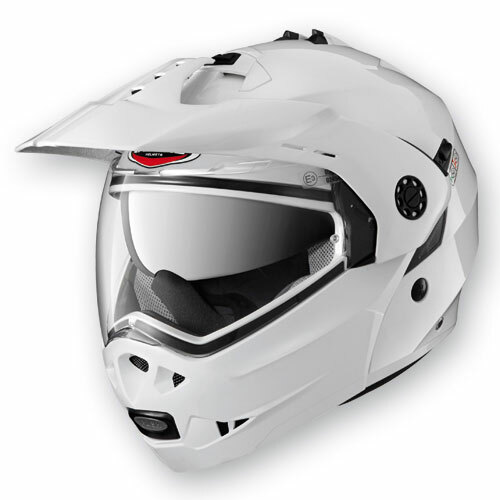 The Caberg Tourmax is a modular dual-sports helmet (modular meaning the chin guard flips up and dual-sports referring to the mix between full face and motocross style). 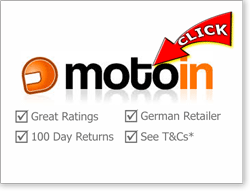 It has a good range of useful features, is well built and comfortable. 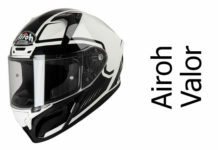 It’s also dual-homologated to work as both a full face helmet or with the chin guard in the open position as a jet-style helmet. The one major downside is that it’s quite noisy, though that goes for pretty well all flip-up helmets. 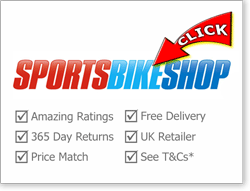 However, given its low price point, it’s a great value helmet and well worth a look. 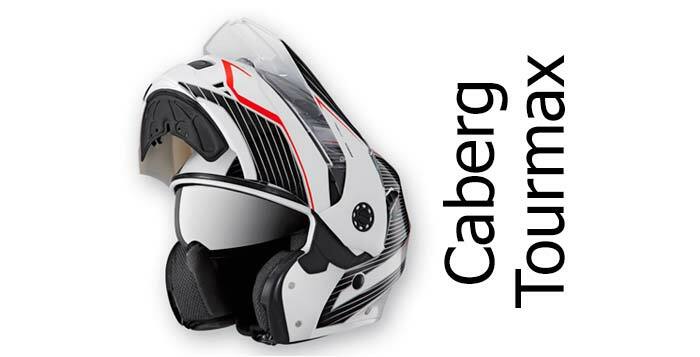 Caberg were No.2 in our list of the safest crash helmet brands so you would expect the Tourmax to perform well in an accident. 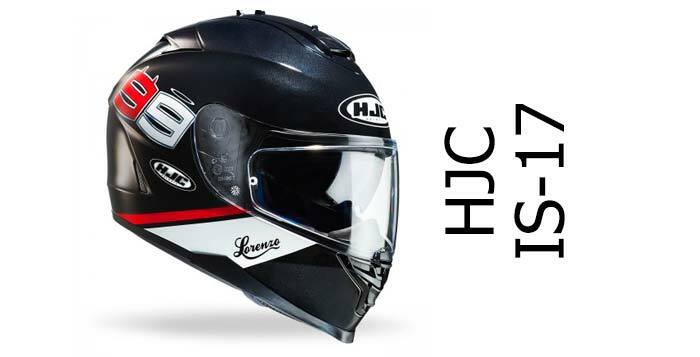 Like all helmets on sale in the UK, it’s been ECE 2205 approved so it’s passed a basic set of safety tests – including being dual-homologated for use in both open face and full face modes. 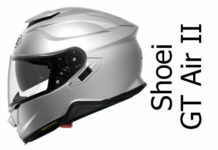 It was tested by SHARP in March 15 and scored the maximum 5/5 score meaning it’s in the top 15% of all tested helmets. That’s an excellent score for a modular/system helmet. It’s worth noting that in the SHARP tests, the chin guard stayed closed and locked in 87% of their tests. That’s actually a respectable figure for a modular helmet, but if you’d rather have the chin guard stay down 100% of the time (wouldn’t we all!) then you’re probably best opting for a full faced helmet. Having said that, folks who buy flip-front helmets presumably like riding with the front up and open some of the time (I know i do) and understand that they’re potentially exposing their good looks to danger while they do so. If that’s the case, that 13% failure rate is probably acceptable for the freedom a flip-up helmet offers. Several owners reckon it’s about average for quietness, commenting it’s pretty much like most other modular helmets they’ve owned. 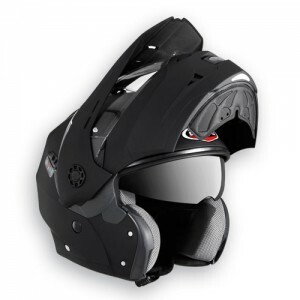 Modulars have to accommodate the moving chin guard and that usually compromises noise-suppression compared to a full face helmet. A couple of guys reckoned it was slightly noisier than a Schuberth they’ve previously been using. 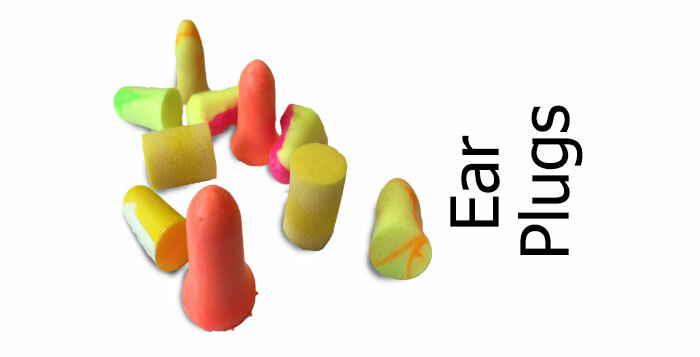 Of course, if you’re going any distance, most of us use ear plugs so if you’re a regular ear plug user, then you should be fine with the Tourmax. If you don’t, it’s probably going to be OK for lower speeds but noise will get a bit too much at anything above 60. The Tourmax is produced in just one shell size. This means if you buy one of the smaller sizes – say XS and below – the helmet shell may look a bit large on your head. It may also slightly compromise safety a little too. There’s also an issue with the size of the chin guard, with many people finding that the chin guard is set a bit further back than most, meaning some people complained their chins were rubbing on the inside. So if you’re a bit of a Brucey, might be worth trying first before you buy. Ventilation is widely reported as very good. The Tourmax only has one chin and one forehead vent but they’re enough to pull in lots of air. The chin guard vent is always open but the forehead vent is opened with a slider – and that’s pretty simple to operate, even with gloves. There haven’t been any complaints about the always-open nature of the chin vent so we reckon you should be fine – even in cold weather. The air is channeled through the top of the helmet in channels in the polystyrene and there are ventilation holes in the top of the liner to keep your head cool – and they do a good job. In colder weather and rain, the vents, in combination with the Pinlock, manage to keep the visor clear so all good there. The Tourmax has a single anti-scratch clear outer visor and comes with a Pinlock anti-fog visor out of the box. It’s also got an integral anti-scratch sun visor that operates from a single big slider on the top of the helmet. The sun visor is simple to use and uses friction to keep the visor open/closed so it can be set for any position you want. The outer visor has a single tab in the bottom centre to open the visor and owners reckon everything with the visor system is fine and dandy and works well. Only issue that one or two people have reported is that it’s possibly a slightly narrow aperture – restricting peripheral vision a little compared to helmets they’ve previously owned. Other than that, it’s all good. Tourmax in matt black showing sun visor and chin guard. As mentioned before, there’s a possible issue with the chin guard for those of us with bigger chins – you may find your chin touches the back of the chin piece which might prove a bit uncomfortable. If that’s not an issue for you, then the chin guard works well. When you move the chin guard up, the peak rotates a little to get out of the way and bring the peak closer to the chin guard for aerodynamics. In the fully open position, you can lock the visor by using a little plastic slider to the left so you can ride off road and the chin guard won’t slam shut. It works well. It’s worth noting that in the SHARP crash helmet testing, the chin guard remained locked and closed in 87% of the tests. That’s actually pretty decent for a modular helmet however we’ve subtracted half a star as it’s still compromised. Apart from the issue with the slightly short chin-guard and the usual advice about making sure the helmet fits you properly, reports are that the Caberg Tourmax is a comfortable helmet. It has a fully removable and washable liner that’s hypoallergenic. It’s also reported as good for glasses wearers in terms of comfortable fit and good ventilation when it turns wet – with one owner saying it was the best he’d used even in cold and rainy weather! Surprisingly, users report that the peak doesn’t really catch the wind too much either so they don’t complain of much buffeting in comparison to even a full face helmet, though one user did mention that it can catch side winds a little when it gets really windy. But then you’re on a bike so no surprise there! It’s a pretty slick helmet with more than a hint of Halo about it. At the time of writing, it’s available in mostly plain colours – white, black and gun metal grey, with only the Tourmax Sonic having a bit of a sporty paint job (the one you can see in the video below). Here’s a video of a guy using it on his bike. Skip to 1.20 to get to the meat of the review. The Tourmax is pretty light weight for a modular helmet, weighing in at a smidge under 1.8 kg. If you’re used to a full face, it’ll probably feel a little heavier but it’s well within what’s manageable. It also comes with a micrometric fastener. 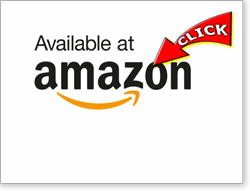 If you’re not used to micrometrics, they’re dead simple to use – slide in a small ratcheted bar to lock it and pull on a little red tab to unlock – fast and quick and I love em. 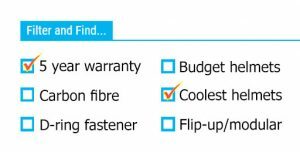 As to audio, it’s equipped to integrate the Caberg ‘Just Speak Easy’ bluetooth system – but if you’ve got a 3rd party system, it has a small, slightly offset cut out in the padding of the chin guard for a microphone but only shallow recesses for earphones. 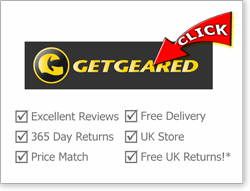 Users reckon it generally works well with only the usual bit of fiddling for installation. Fantastic value - a great looking flip up helmet with some of the most useful features around at a great price point. Highly recommended.